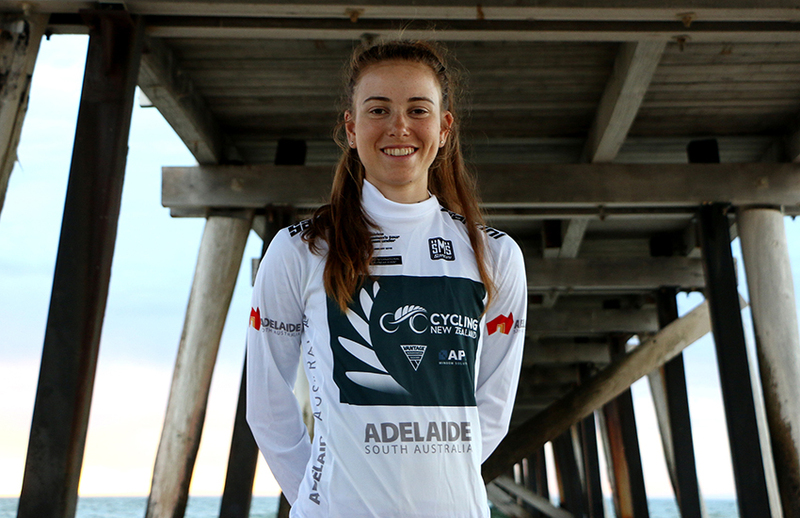 Following a breakthrough 2018 season New Zealand's Grace Anderson heads in to the 2019 season, her first in Europe as one of the rising stars of the women's peloton ready to step up to the next level following two years racing in Oceania and North America. 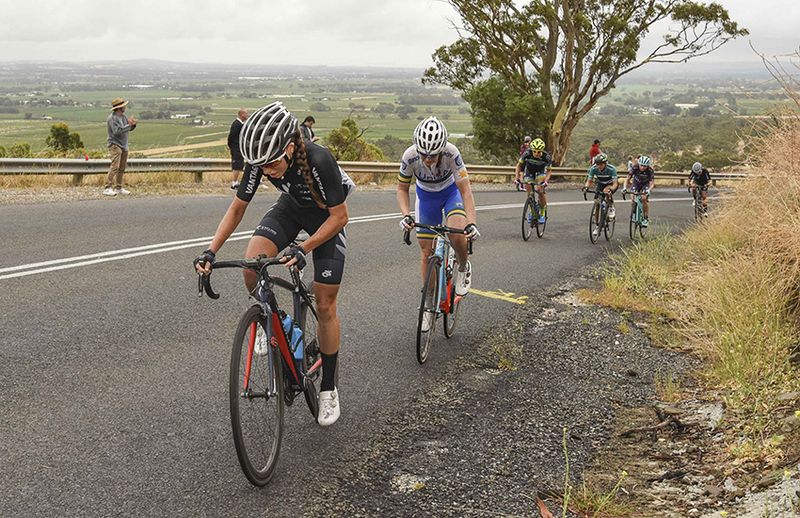 The under 23 New Zealand national title and best young riders jersey following a top 10 finish at the Women's Tour Down Under, where she climbed with some of the world's best including Amanda Spratt and Annemiek Van Vleuten set up her strong 2018. A 15th place finish in her first World Tour race at the Tour of California only served to reinforce her climbing credentials. With a strong showing at Tour de l'Ardèche, one of the toughest races on the calendar securing her selection for the World Championships in Austria, where she rode in support of Georgia Williams. A return to the Tour Down Under this year netted Anderson a respectable top 20 finish, though with goals in Europe this year she was not in the same form to defend her young riders jersey. The opportunity to join the Drops team was one Anderson couldn't refuse having been in contact with team owner Bob Varney throughout 2018. 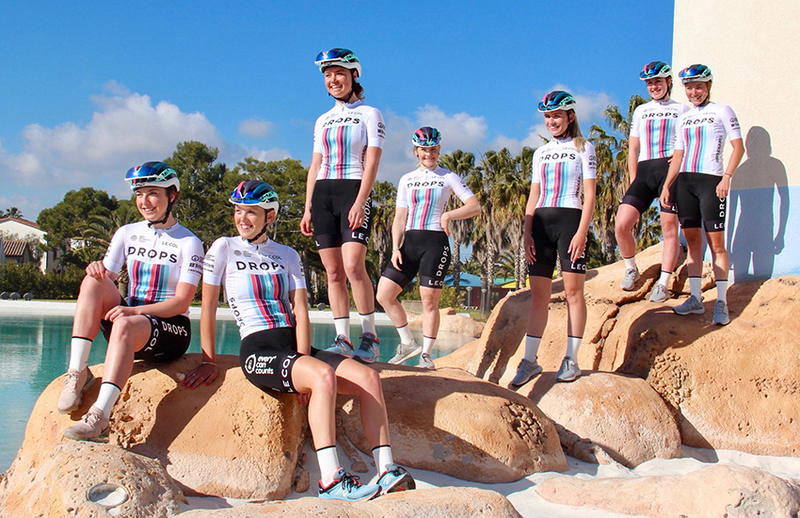 With a proven track record of developing riders Drops seems the perfect fit for the 21 year old, with two of Drops team members from 2018 Abigail Van Twisk and Eva Buurman now riding for Trek-Segafredo Women and Boels-Dolmans respectively. Anderson is putting her successful 2018 to one side realising the step up to racing in Europe full time will take some getting used to and is focused on learning and developing as a rider. How did you first start cycling? I first started racing when I was 11 years old in Intermediate School. A cycling team was being started for the first time and I decided to give it a go. I always enjoyed it but was much more focussed on football up until year 11 in High School where I decided to put a bit more effort into cycling. I began to get a few good results and started to enjoy in more and more. 2018 was a breakthrough year for you and it all started in January winning the New Zealand Under 23 national title, best young rider at the Tour Down Under and strong rides at the Cadel Evans Great Ocean Road Race and Herald Sun Tour how important was that strong start to the year for you? The results I gained in January 2018 gave me a lot of confidence and made me realise I am capable of a lot more than what I gave myself credit for. Spent some time in Europe at the end of last season and raced Tour Cycliste Féminin International de l'Ardèche one of the hardest races on the women's calendar what was it like? Ardeche is by far the hardest race I have done so far; 7 stages in 6 days with 11,000m of climbing. I'd never experienced anything like it before. I remember towards the end of the Tour I'd get on my bike and think I don't know whether I can make it through this stage, everyone was in the same boat. Starting each day with such tired legs was certainly a new experience for me, mentally it was challenging but it teaches you how far you can push yourself. Raced your first World Championships in Austria last year on what was one of the hardest courses in recent years and you finished in a very respectful 66th place. How did you find it and what did you take away from the race? Worlds was an entirely new experience for me and I'm very grateful Cycling New Zealand gave me the opportunity to race it. It was the biggest event I've ever been a part of, and the atmosphere was like nothing I'd ever experienced before. NZ only had a team of 3 women riders, so it was always going to be tough to challenge the bigger nations such as the Netherland's. Georgia Williams was great to race with, she's such a strong rider, very respected in the peloton and was more than willing to share her knowledge and experience with us. Positioning was definitely what let me down during this race, getting stuck behind a crash going into the first climb definitely used up a lot of unnecessary energy. Looking back on your 2018 season what stands out to you as your highlights? I think winning the young riders jersey definitely stands out for me. Going into TDU I never expected I would go that well, so it was pretty special to come away with that. Signed with Drops for 2019 how did the opportunity come about? I first met Bob at TDU in 2019 and we kept in touch throughout the year. I had some pretty solid race results last year and he believed Drops could provide me with a program and environment to keep developing me as a rider. With a focus on nurturing young riders and such a positive and fun team culture the team seemed like a good fit for me. You have raced in New Zealand and Australia, Asia and North America though 2019 will be your first full season in Europe what are most looking forward to? What do you think the biggest challenges will be? Just racing a full season in Europe is going to be exciting, particularly as I will be wearing Drops colours, getting to visit some cool places, competing at the highest level of racing and learning a lot both on and off the bike. Living abroad for so long will definitely be a new experience for me. However, I believe being in Girona surrounded by so many cyclists and a few other New Zealander's is going to make the transition as easy as possible for me. Racing in a big peloton is still something I'm getting used to but it's much easier doing it in a team. You spent two years racing in the US including with Team Illuminate last year. Going from Oceania direct to Europe is often a big step how important do you think that step in between in the US will be for you? Coming from New Zealand opportunities to race at an international level is one of the things we lack and financially it's very difficult to pursue road cycling. I am really grateful for the opportunities Team Illuminate provided me with and I certainly wouldn't be where I am today with it. Personally, I think it was a great stepping stone for me and introduction to racing abroad. I learnt a lot throughout my time racing for the team we got to race in China, Thailand, USA, France and Italy. I also got to racing my first World Tour race last year, the Tour of California. Just had your first team camp what was it like? The riding round Cambrils has been great, very challenging but nice and quiet. We got some solid training done in the first part of the camp ahead of our first race Setmana Ciclista Valenciana. It was good to get to know all the girls better both on and off the bike. It's made me really excited for the season ahead. The atmosphere of the team is very professional but at the same time everyone’s always having a laugh. It was nice to meet all the riders and staff I'll be working with throughout the year. First race with Drops was First race with Drops was Setmana Ciclista Valenciana how did it go? Personally, I didn't perform as well as I had hoped to, but it was good to be back racing in a European sized peloton and to tick off the first race of the season with the team. Everyone seems to be gelling really nicely so far and I look forward to building on this throughout the year. At the end of 2019 what do you hope to be able to look back on from your season? I hope to grow and learn as a rider. I am fairly new to European racing, so I do not really have any expectations in terms of results. I just want to learn as much as I can and come out of the season having had a lot of fun and knowing I gave every race my best and contributed to the team goals.